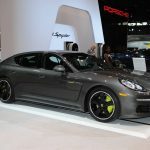 Of the four major German automakers at the Chicago Auto Show 2015, Porsche arguably stole the show with just one vehicle; a dark blue Porsche 918 Spyder. 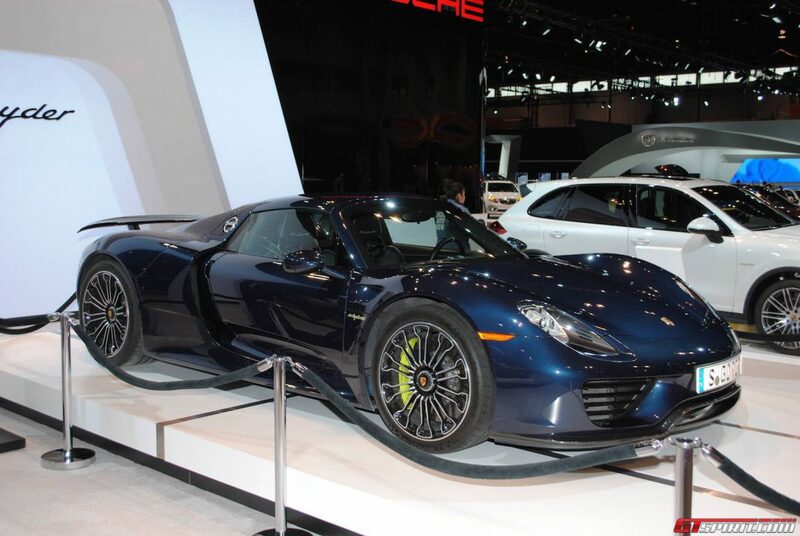 Secluded in its own roped-off area, this 918 Spyder is certainly one of the finest examples we’ve laid eyes on. 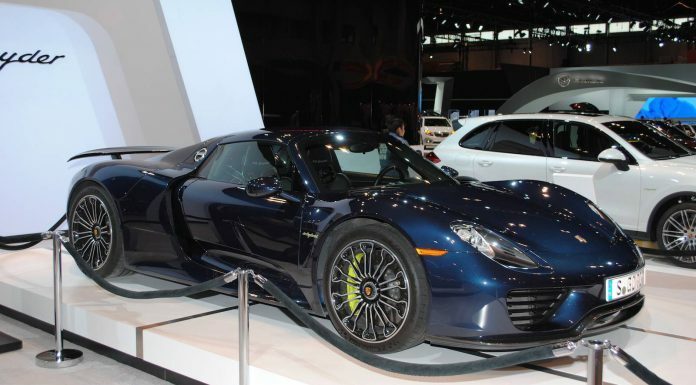 Unlike some previous blue Porsche 918’s we’ve seen in the past, this particular example isn’t fitted with the optional Weissach package nor a plethora of carbon fibre accents. However, that certainly isn’t a bad thing. 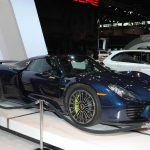 Beyond the blue paint scheme, this example has a set of wheels mimicking the original 918 Concept as well as lime green brake calipers. Under the hood, the Porsche 918 Spyder of course uses a mid-mounted 4.6-litre V8 engine producing 608 hp independently – the highest specific power of any naturally aspirated Porsche engine. The V8 is then supplemented by a further two electric motors mounted on each axle. 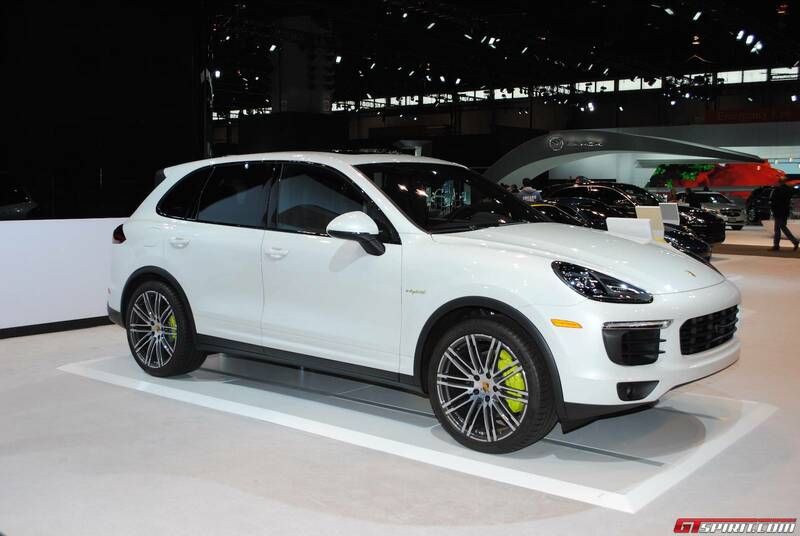 The electric motors can either drive the wheels independently or work together with the engine to boost performance. 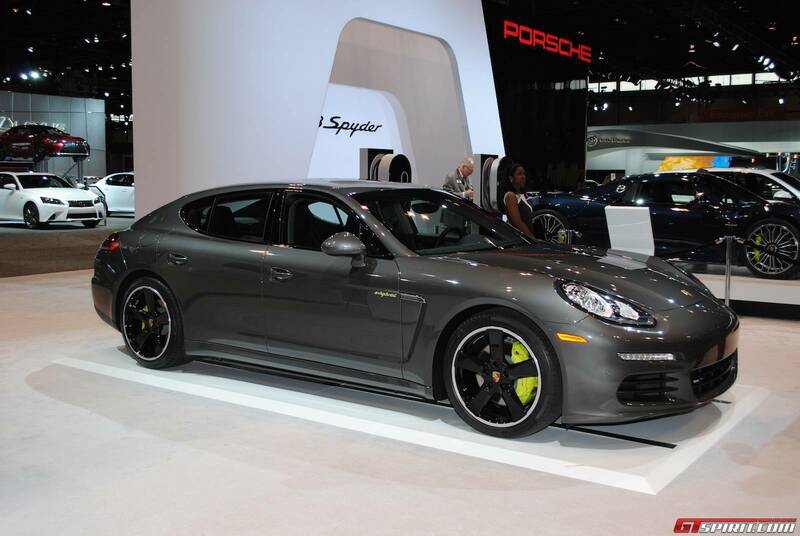 Each motor produces enough power to boost the total figure to an amazing 887 hp. 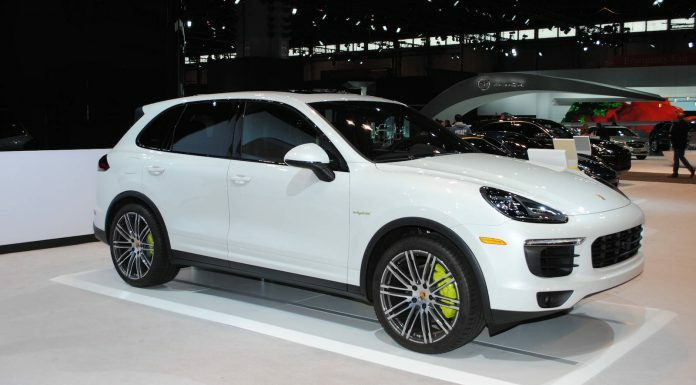 A seven-speed Porsche Doppelkupplung (PDK) controls power delivery to the rear wheels. 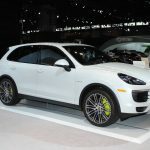 With such an incredible hypercar on display, the other Porsche models at Chicago were relatively unloved despite their individual impressiveness. 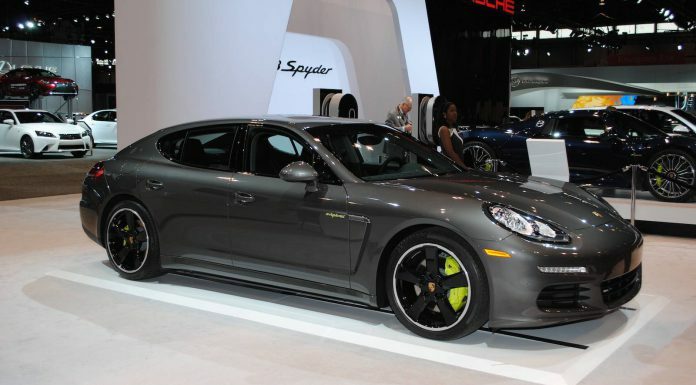 Others included a brown Porsche Macan, yellow Porsche Boxster S, a dark blue Cayman S and a gloss black 911.